Sri Ghantasala Venkateswara Rao, I have no hesitation to say, was a great Musician who was held in high esteem by all especially the music lovers of the south. His reverberating and fascinating voice was indeed a great cause for many a South Indian Film to embrace Popularity and fame. Special mention has to be made on the rendering of his Suprabhatam and many other devotional songs. His dedication and constant devotion to music and application were quite commendable. Music, as I firmly believe, is Godly and has boundless power and scope to penetrate into the human minds and fill them with happiness, cardinal virtues and make people of all kinds to come together and love and like each other and finally be close to the Almighty. There is a saying that even Snakes and Babies enjoy music with absolute attention because of its glory. All our prayers, Hymns, Psalms and supplications to God will be effective when presented in musical form. That is what is observed and practiced by all religions. 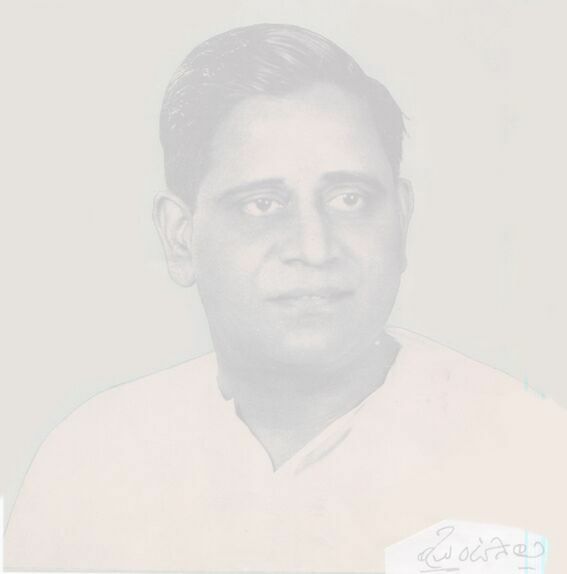 I know Sri Ghantasala, as he was known popularly all over, and was very close too. He was very unassuming and had an outstanding quality of giving due respect and appreciation to other musicians. That had helped him to earn good number of friends and wellwishers in the field. It should be the bounden duty of every one of us to cherish and perpetuate his memory.